I live and work in San Diego County, which is a big military town for the Navy, Marine Corps and Coast Guard. Over the years I’ve had the opportunity to work with many active military and veteran buyers using a VA loan to purchase a home. But lately, I’m struggling to help my VA buyers complete a purchase as they are facing what I see as a marketplace that discriminates against them. The price point for many of the young VA buyers in San Diego Countyis relatively low, so when bidding on a house they are often competing with cash buyers. As the buyer is not allowed to pay certain closing costs on a VA transaction, and most VA buyers need a considerable concession, the seller in this competitive market is more likely to select a buyer that doesn’t ask for closing costs. Even if the VA buyer comes in with a higher offer to allow the seller the same net profit, there is the risk that the property won’t appraise at the higher value and the deal won’t go through. The VA also requires a termite clearance, and the buyer is not allowed to pay for it. So, this pretty much rules out every short sale as the seller is not going to pay for an inspection, repairs or clearance, and it is highly unlikely that the seller’s bank will pay. The properties themselves often pose the biggest challenge in this market of REOs. According to VA guidelines, the home must be habitable with a working stove and heat source, floor coverings, no large holes in walls, or missing window trim or baseboards, no mold or mildew, and plumbing that does not leak. 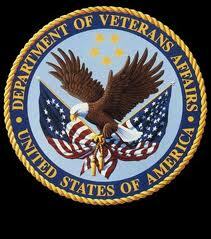 So buying a fixer is out of the question as the VA buyer is not allowed to pay for any repairs. I would like to think that sellers might choose to actually make an effort to sell to a member of our military, but I think the VA itself has made it unnecessarily difficult. I understand the VA’s desire to reduce the financial burden for the military buyer, and make sure they are protected in the transaction, but from where I stand, I see that the rules that are meant to protect them are actually hurting their chances of successfully buying in this market. The amount that B of A was offering to the 2nd lien holder was incorrectly communicated to me. They offered one amount and then later came back with a much lower figure. I had to escalate the issue and get pretty angry to make them stick to the original amount offered. Shortly after finally getting an approval in the first week of February, our buyer lost her job and we had to substitute her husband as the buyer. Same transaction, no changes except the loan and sale were now going to be in the husband’s name. It took over a month to get a new approval, and that was after I again had to escalate the issue. Here is what I see as a big problem with the whole system: Although the Equator platform is supposed to keep all parties in communication, it really doesn’t work that way. Bank of America farms out the work of negotiating their Cooperative Short Sales to Asset Management Outsourcing, Inc., AKA, AMORecoveries. So during the whole “negotiation” portion of the short sale, the agent for the seller is only in communication with a case worker at this company. If you do need to escalate a matter to B of A directly, they might not be in the communication loop as far as the file and Equator are concerned. Additionally, I find communicating through Equator sketchy at best. Every step of the process is a “task” that gets accepted, completed or denied, and let me tell you, a short sale is simply not that black and white. The only way I really got anything accomplished was when I could actually speak to someone. Once you finally get an approval, the file becomes the responsibility of a “closing specialist” back at B of A. So the person you’ve been dealing with throughout the whole process is now out of the picture. When we had to substitute the new buyer, the file went from our “closing specialist” at B of A, back to AMORecoveries, to a different negotiator who thought it was an entirely new file! I thought I was going to tear my hair out! So I’m not a fan of the Bank of America system or the Cooperative Short Sale program that was supposed to streamline the approval process. And I know that without going up the food chain and fighting for my seller this deal wouldn’t be closing. Got a tough short sale in San Diego County? Give me a call!